I am experimenting with the Bifferboard since few weeks; it is a very interesting platform. I installed Debian without too many troubles; you need to have some basic knowledge in Linux still. - USB hub: I had some troubles with several hubs (Kernel panic or some adapter not working well with certain hub, the UVC camera in particular). I am using a cheap hub without brand. -Wifi : working fine (rt73) but adapter big for my project and also is getting quite hot – I wish I can install a smaller Wifi Dongle (rtl8187 based) but I cannot compile the driver. I tried to use the Bifferboard without the support board (with only 4 cables: 1.8 v, 3.3v and USB data). It is working but the supply power must be very well stabilized or the board will fail to complete the boot. The Bifferboard fit nicely in the Nano back, between the servo connectors. The Bifferboard is powered by 1 single Lipo (1000Mah) . A LVBoost step up a steady 5V . The Board + the USB adapters are consuming around 1A, I can stream video for 40 min at least, maybe more. A Python script takes handle the communication between the Nano serial port and a TCP/IP socket. Your post made my day! This is exactly the kind of functionality I would like to see evolving for hobby robotics. You may have seen the thread about a new bifferboard interface board we are working on. 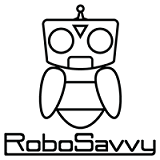 Your experience with attaching camera, wifi, sd card and sound via usb, will help in defining a working solution set for all hobby robots. I am following I-bot post with high interest, this is just what I need. 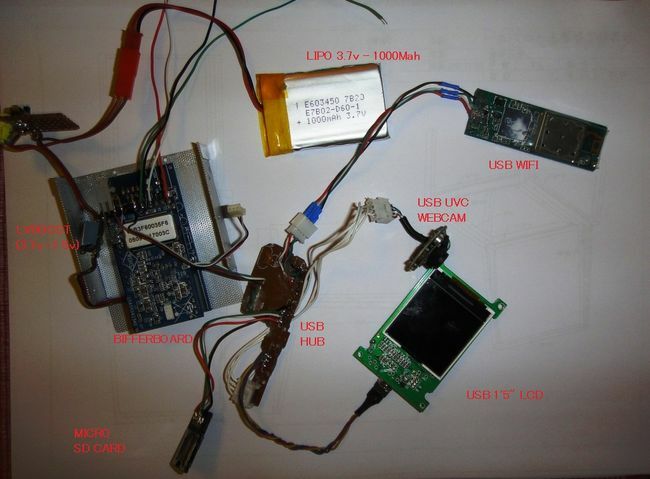 Do you know what chip is inside the USB hub which works ? I have used a hub with GL850G chip which works OK so far, but I have not done video. The plan is to incorporate the hub IC to the board, so save space and avoid hub problems. (unless I choose the wrong device !) I am also suspicious if this device has been cloned. Also interested how you get on with smaller WLAN modules. I have an LM-006 based on the RTL8188 which I would like to get working. I will put up first pass schematics by weekend, so interested on you feedback. I tried 8 different cheap hubs in my quest to find the slimmest/lightest one. Some were giving me Kernel panic, some worked fine except for the UVC camera (MJPG streamer would not start). The smallest USB PCB I found is from the one below but I cannot start MJPG Streamer with it. I am in holidays now and cannot check the chips, I will doing more tests next WE and will note all the details , I will aslo do some tests with OpenWRT this time. So far it seems that nobody succeed to compile the RTL8188/RTL8187 drivers, there is a post about it in the newsgroup. How's the progress with the bifferboard humanoid? 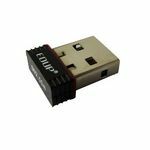 have you identified the perfect smallest usb hub, webcam and wifi dongle? For all of them I have the same problems: I cannot telnet or SSH to the board and I cannot launch Mjpeg streamer, I cannot launch CGI scripts. Everything else seems working, I can ping from and to the bifferboard. 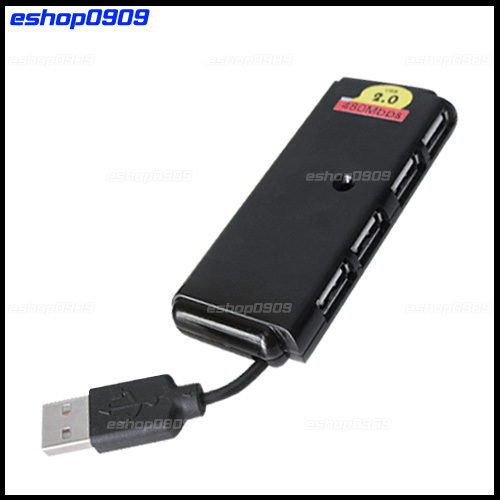 I am puzzled, some of the new USB Hub I tried are supposed to have the same chip as the working one (fe1.1). I have no clues about why I only have one USB hub fully working. Any tips or help to solve this issue are warmly welcome. My D-Link DWL-G122 (rt73 driver) works well but it is too big. I bought 2 different small ( stamp size) USB wifi dongles (For Ralink RT2070 & RTL8188SU) and tried for weeks to build and install the drivers but I still cannot succeed to compile them for my Debian (I have some basic Linux skills). The same steps are not working for my Bifferboard . Error message: bifferboard:~# lsmodphy0: Failed to select rate control algorithm. 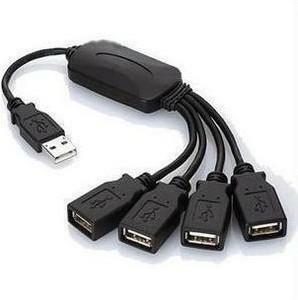 I would also greatly appreciate any help to make these dongles working on a Debian Biff. Without the body and Lipo, the screen is less than 10 g, and very compact. I could save 1-2 g and 2 mm in thickness by removing the mini usb. The driver is easy to compile, as long as you have installed the libgd2 library. I can display any picture with the command. /septic /dev/sdb /pic.png. 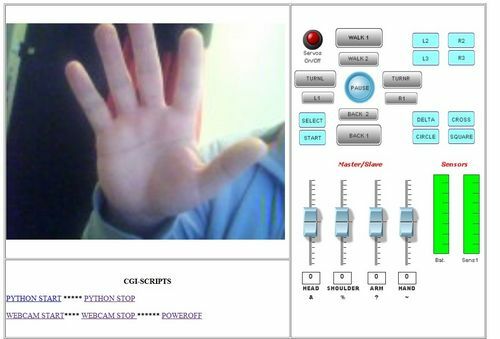 The little script provided by Spritesmods to display a webcam stream allow me to either to display the stream from the onboard camera or from any ip camera (mjpeg stream) . The frame rate is slow, ~1f/s, as the script is basically graping a jpeg and converting to a .png, which is quite heavy work for the Biff.. I can simultaneously run lcd4linux and the webcam script but I will have to fine tune the font color,& size to make everything more readable with a changing background. A USB sound adapter with the chipset CM119 give much better result than the first one I firstly used (with chipset 6911). I can now play sound (.wav or text to speech with flite) simultaneously with the webcam streaming and doesn’t experience anymore sound quality issues. I get rid of the USB- SERIAL (FTDI) adaptor, I now simply connect my serial device to the bifferboard serial port . I didn’t deactivated the console messages, there are not posing any pbs with my serial communication. I connect to the console terminal by SSH through WIFI. The body is almost finish. I am now using a 1300 mah single Lipo to power the Bifferboard. It gives me 1hr of autonomy with the webcam streaming. The LCD is supposed to take 100~200 ma that I could decrease by changing the backlight led with a low power one. I recompiled Debian from scratch (2.6.32) and installed the header. There was lot of try and error and tuning involved but the output is looking good. My issues with USB hubs are gone, I found some new small hub pcb (3 x 4 cm) that better fit inside the Bifferboard. I will soon post a link to my distro. Where did you get that Wifi dongle? Search "Edup" on Ebay. They are as low as 2.99 usd! These mini adapters work with 8192cu.ko. Most of the other ones work with the 8712u.ko. Note: the module 8192cu.ko is spitting some frequent console messages ("issue nulldata to keep alive") . It is not a problem but can become annoying if you often use to the serial console .